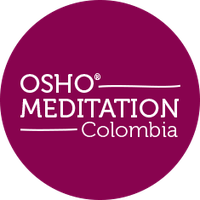 OSHO Active Meditations are scientifically designed for the societies of the 21st century to help us create silence in a joyful and fun way. Each meditation begins with activity and physical movements such as shaking, dancing, sound, breathing, etc. Then you move into relaxation and stillness. This is the moment where meditation can happen – a moment to be alert and simply watching the body´s sensations, the thoughts and feelings, accepting everything without any judgement. No Previous experience is required for OSHO Active Meditations. Only motivation and commitment. For whom are these techniques? What are these methods about? Each method has its own music specifically created to guide the participant through each stage. The active stages help to release accumulated tensions in the body-mind allowing the natural energy flow to move. This way, in the passive stages, you can move into stillness being the witness of whatever is happening inside. Above you find the descriptions and instructions of the meditations created by Osho. Click on the meditation you´re interested in to read the description. For the festival´s program click here.